What are angels? This is a question I have found myself asking myself recently. I once believed that I knew exactly what angels where. Then I heard conflicting stories of them being servants of only one specific God, the God of Christianity, Islam, and Judaism and there for bound to only help and work with those who follow Yaweh/Allah/Jehova. Other people claim that they are simply servants of divine forces and are not limited to a specific set of religions or religious beliefs. I personally believe angels to be servants of the God Jehova/Allah/Yaweh. Other Gods do have servants or minor Gods that work as messengers and intermediaries between them and humans but I don’t necessarily believe they are angels. That being said I believe that so long as there is a connection in your life to those three religions (Christianity, Islam, and Judaism) they will help and work with you. This connection could be continuing family celebrations, a belief in them, and or a belief in Jesus or that God as a God just not the only God. I have always held a belief in angels. Though I have not worked with them since the early years on my path as a witch. I knew others still worked with them magically through enochian magic, ceremonial magic, and at times Hoodoo. These three magical traditions are associated with Christianity and angelic magic and angelic work for spiritual practices as well as magical practices. Now I have started to work with angelic forces again. If you want to work with angelic forces and angelic spirits you simply need to be open to their force. 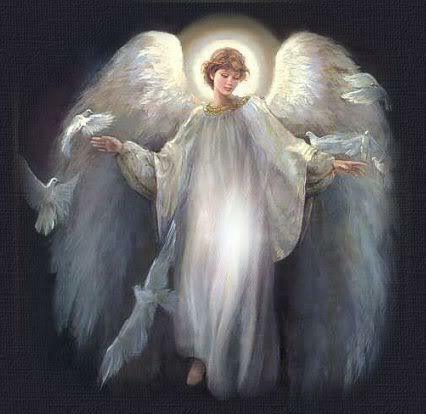 The force that angelic spirits are made up is pure unconditional divine love. If you have any sort of connection in your life to the three paths of Abraham you can work with these spirits. You just need to open yourself up to working with them. They will make themselves known to you. 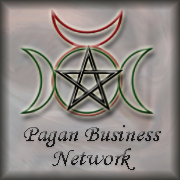 Posted on March 5, 2014, in Angelic Magic, Angels, Ceremonial Magic, Christian Magic, Hoodoo, Pagan Blog Project, Spirit Guides, Types of spirits and tagged angels, Hoodoo, magic, Pagan Blog Project, paganism, Spirit Guides, Spiritual development, Spirituality, Witchcraft. Bookmark the permalink. Leave a comment.